The USS Enterprise CV-6 had become a household name for the veterans of 2nd world war . The war bought her glory in the form of 20 Battle stars, Presidential Unit Citation and Navy Unit Commendation along with several other honors. Sadly she was scrapped in the year 1958 against the popular public opinion. To keep her legacy going, another carrier destined to be famous was named as the Enterprise. It would be the world’s first nuclear powered aircraft carrier, the carrier this article is dedicated to. The idea of marine nuclear propulsion had originated long before the first nuclear device was detonated. The theory of nuclear fission offered vast amounts of energy while consuming very less fuel. Nuclear propulsion thus allowed ships to cover vast distances without refueling for years at a stretch. Submarines became an attractive candidate for the application of nuclear propulsion thanks to the inherent drawbacks of the diesel-electric propulsion. DE submarines had to routinely surface to recharge their batteries by running their noisy diesel engines, this made them vulnerable to attacks. Nuclear propulsion allowed the submarines to operate independently from the surface and the possibility of not surfacing at all during an operational sortie became real. Thus the programme to develop nuclear submarine propulsion was started under Hyman G. Rickover, who would go on to be called as the father of the nuclear navy. Interestingly nuclear propulsion for carriers was kept at the lowest priority and carrier escorts were placed higher up in the list due to the disadvantages of their design. These small vessels couldn’t carry as much fuel for keeping up with fast carrier groups. The frequent refueling reduced their operational readiness while making them susceptible to attacks during the underway refueling process. Carriers on the other hand were massive and could carry large amounts of fuel for propulsion and air wing. They could also replenish the escorts if needed. Thus the low position of carriers was justified. Apart from the reasons stated above, there were other obstacles which had to be taken care off. First of all most of the nuclear material being produced was being used for the expanding atomic arsenal or for building submarine reactors. Secondly, it was deemed that nuclear powered carriers would be costly to procure while the fact that the long term fuel costs for a conventional carrier were going to be much larger was ignored. Lastly, the USAF wanted nearly all of the defense budget for its fast jets and bombers and hence there weren’t enough funds to begin development with. Thus construction of Kitty Hawk class carriers with conventional propulsion was authorised. As time went on, cooler heads prevailed and the advantages of nuclear powered carriers were realised. The ever growing family of newer generation jet fighters needed more and more fuel thus carriers had to store much larger amounts of it onboard to sustain the ops. Nuclear propulsion left a lot of space usually occupied by the fuel for the vessel to be used for storing aviation fuel. The space could also be used as living spaces, ammo stores, aircraft maintenance areas and hangars thus improving the operational readiness of the carrier. There are several advantages of nuclear propulsion, some of which have been listed below. Increased amounts of aviation fuel can be carried. Increased space for handling aircraft. Sustained operations at high speeds. No need for frequent refueling. Smoke stacks and air intakes were deleted thus increasing available space further. Deletion of intakes also allowed the carrier to be better prepared against NBC attacks. Deletion of exhaust stacks reduces air turbulence behind the aircraft thus allowing smoother aircraft handling just before touch down. Nuclear reactors are heavily armored to avoid radiation leaks, this reduces the chance of them being disabled during combat. The reactors could easily power ship borne systems while providing power for propelling the ship. Reduced operational costs over time. We can see the smoke coming out of USS Kitty Hawk’s stacks in this picture. W designated that it was developed by Westinghouse. This was followed by development of the A2W which would see operational usage onboard aircraft carriers. The A2W was capable producing 35,000SHP thus 8 such reactors, 2 per shaft were required for powering the first nuclear powered aircraft carrier ever built. The Enterprise can produce 280,000SHP at full power propelling the 100,000 tonne bulk at speeds over 35kn. Enterprise’s design is based on the improved-Forrestal class design which was also used for the Kitty Hawk class of aircraft carriers. They retained 4 catapults, 2 on the bow and 2 on the angled deck on the port side. They are numbered right to left starting from the right most catapult on the bow. The design of Forrestal class had several drawbacks which were corrected in the following carriers. The island made aircraft parking difficult. Secondly the port side elevator was positioned at the front end of the angled deck in the path of aircraft coming in to land. It was also right at the end of 3rd and 4th catapults. The elevator was rarely used as it hampered aircraft recovery and launches using the 3rd and 4th catapult. 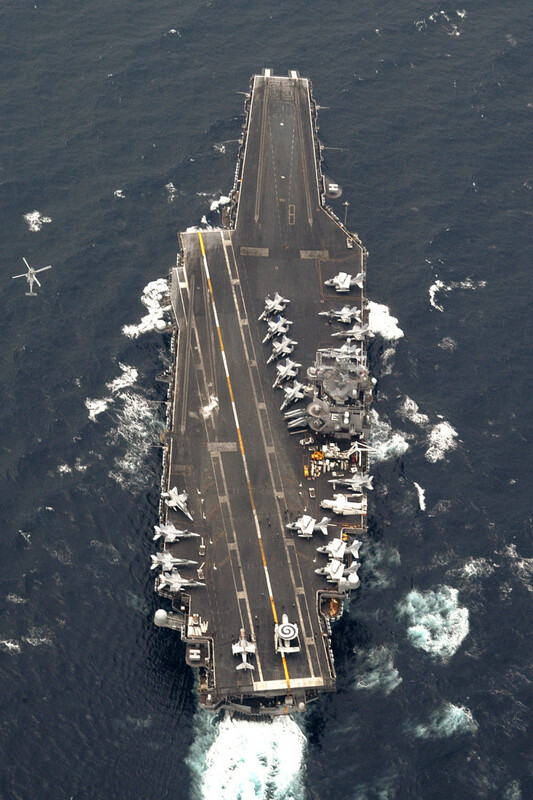 Thus in the Kitty Hawk class, the Enterprise and all carriers built after it, the port side elevator was moved aft and the island’s position was exchanged with the 2nd starboard side elevator. Thus the island now lies between the 2nd and 3rd starboard side elevators with the 1st one on that side just behind the 1st and 2nd catapults. The aircraft were retrieved using 4 arresting wires while a netted barrier could be erected if arrested recovery was not possible. She sported a large hangar deck below the flight deck which be separated into 2 parts by massive doors. The flight deck of Enterprise. 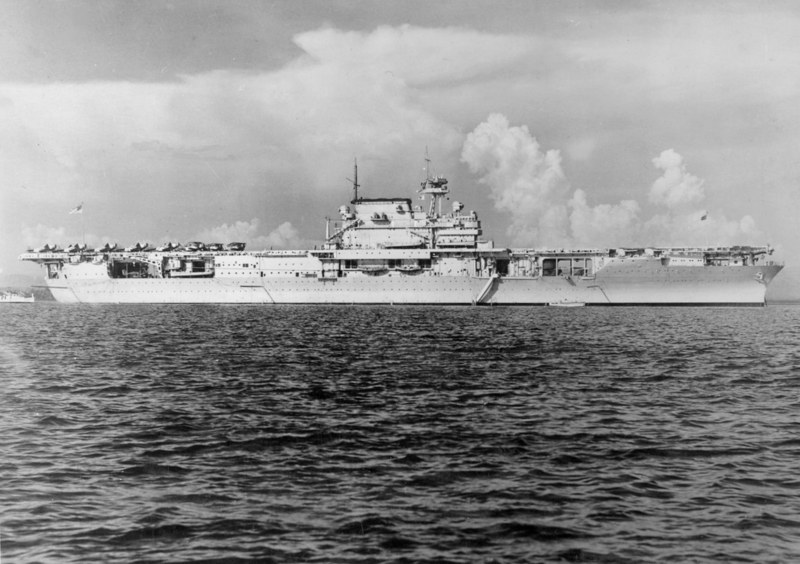 The island sported a boxy design which gave the Enterprise its unique look. It lacked the tell tale smoke stacks which were seen on all previous carriers. Early on it sported AN/SPS-32 and AN/SPS-33 arrays below the windows of the bridge. It also sported an ECM array on top of the island. These were replaced by new generation of 3D and 2D scan radars later on as the older radars were based on vaccum tubes and were problematic. The radars and the ECM array required large amounts of power to keep them running, this is when the 8 reactors came in handy. They could generate all of the power needed for onboard systems while propelling the ship. The reactors allowed the ship to have speeds over 30kn as per the official USN specifications, but time and again it has been claimed that she could easily sail at speeds over 35kn with some claims going over 40kn. Interestingly it is also claimed that her reactors had lots of spare power which could be routed for use. The follow on Nimitz class with its 2 reactors has been criticized for having less amounts of excess power for shipboard systems. It is one of the reasons that she served for over 50 years instead of just 40, the designed service life. Enterprise with the older Billboard arrays. The Enterprise was designed to have RIM-2 Terrier SR-SAM but she never got em thanks to rise in procurement costs. She thus entered service with no defensive armament. She got self defense armament in the year 1967 in the form of 2 Sea Sparrow launchers, which were upgraded and supplemented by a Phalanx CIWS after the 1979 refit. 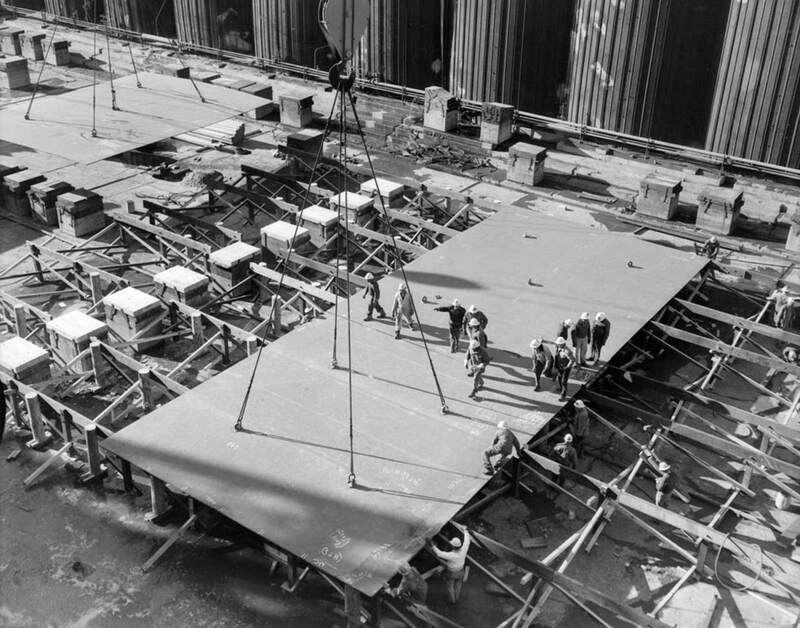 Keel of the Enterprise was laid down at the Newport News shipyard on 4th of February 1958. 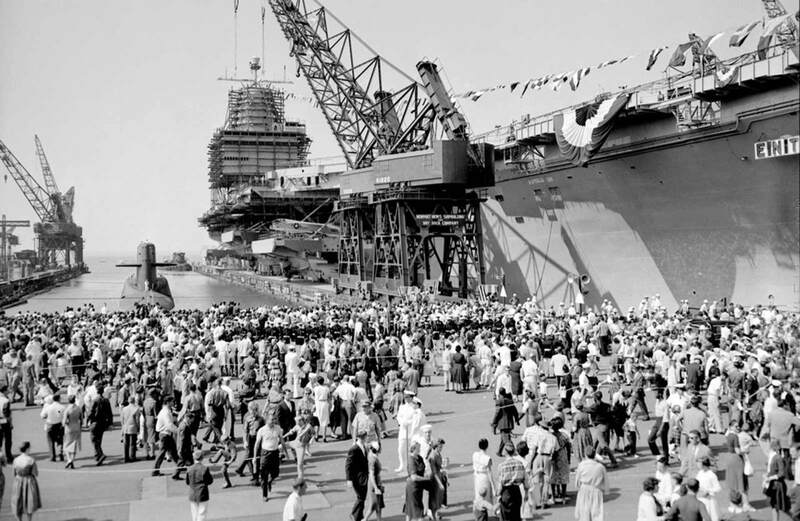 The Newport News shipbuilding yard would go on to become the sole shipyard capable of producing nuclear powered carriers in the United States. She was launched on 24th September 1960. By October 1961 she was ready for the trials. The trials tested her aviation facilities, her sea faring capabilities etc. She exceeded most of her design parameters with ease. She became a commissioned ship of the USN on 25th November 1961 under the command of Captain Vincent dePiox. Keel laying of the Enterprise. She was launched within 31 months after the keel laying, thats an impressive build rate. In the year 1962 she was deployed to the Mediterranean for a short period. She took part in several exercises during the short deployment alongside assets of NATO nations. She was quickly sent to enforce the blockade off Cuba after returning from this short deployment. Between these two deployments, A-6 Intruders and E-2 Hawkeyes were tested on her decks. These two aircraft would later serve alongside an impressive array of aircraft like the A-5 Vigilante, F-4 Phantom, A-7 Corsair, F-8 Crusader etc. 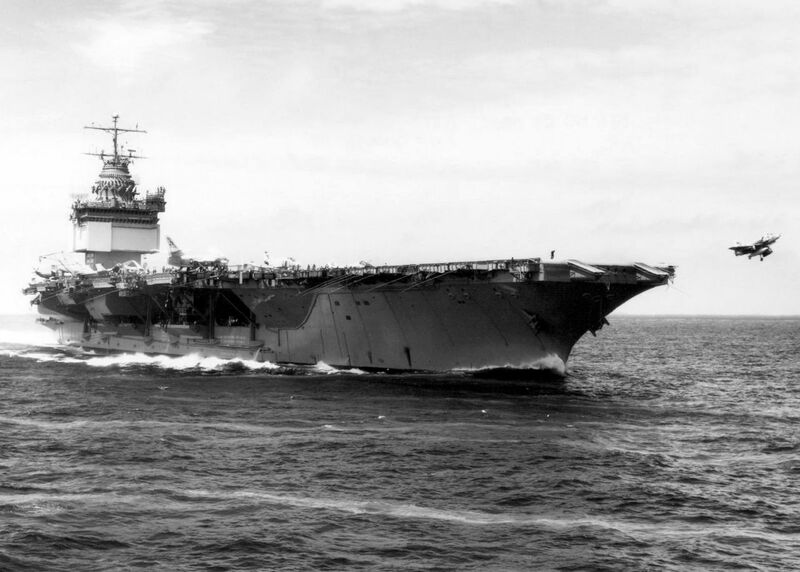 Following the first major deployment to the Meditteranean in 1963, she was redeployed to the theater in 1964. She was joined by USS Long Beach CGN-9 during the deployment thus forming the world’s first nuclear powered task force, consisting of the Long Beach, the Enterprise and USS Bainbridge CGN-25. Starting from May ’64, the trio started the Operation Sea Orbit as part of the Task Force One which was an ambitious plan to circumnavigate the globe. The trip would add 30,000 miles to their milometers and take 65 days to complete. They didn’t receive any kind of replenishment during the trip thus showcasing the utility of nuclear propulsion. Following the trip, she received a new set of cores for her reactors, she had completed over 200,000 miles on the original cores. These new cores powered her during 4 tours of Vietnam and associated training stateside. In January 1969, she was taking part in ORI (Operational Readiness Inspection) when a rocket exploded on her deck, the ensuing fire engulfed aircraft ready for operational sorties causing more explosions. A total of 9 bombs exploded killing 28 men and injuring 343 others. She sailed into Pearl Harbor under her own power and received full repairs. By March the same year, she was actively participating in combat. 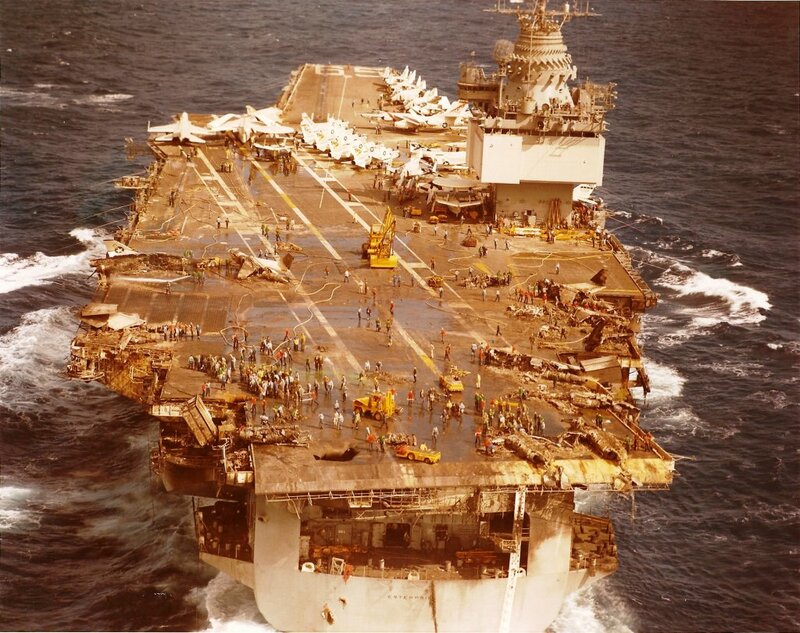 She was re-cored in August 1969 and completed 2 more tours of Vietnam along with several other major deployments before returning for a major overhaul in the year 1979. This overhaul lasted 3 years and replaced her older radars with new rotating arrays. Her reactors were renovated along with the living and dining quarters. New systems were added to bring her upto speed with the newer carriers in service. This was followed by deployments in the Persian Gulf, followed by another world tour and ultimately the last reactor refueling in the year 1990. She took part in European conflicts after the refueling. 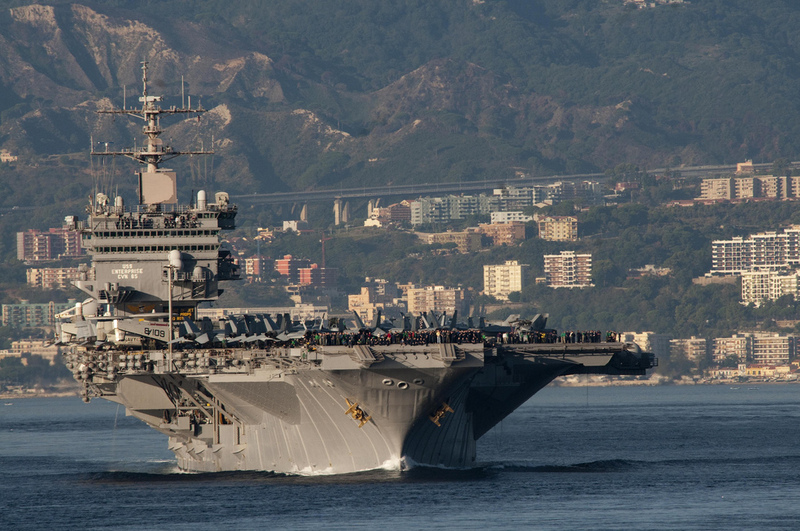 Her final deployment was to the Persian Gulf in the year 2012 where she joined the USS Abraham Lincoln CVN-72. She transited the Suez Canal for the last time in October that year followed by her last international port call in Naples, Italy, which was also her first international port call. She returned to Norfolk on 4th of November 2012 and was inactivated on 1st of December. The Big E in Naples, Italy. She has been stripped of all her war gear but hasn’t been decommissioned yet. Converting her into museum will be a very costly affair and sadly though most of her hull will end its life at the breakers. Her island however might be preserved as a museum. She would serve as a test bed for testing the decommissioning techniques for nuclear powered carriers . 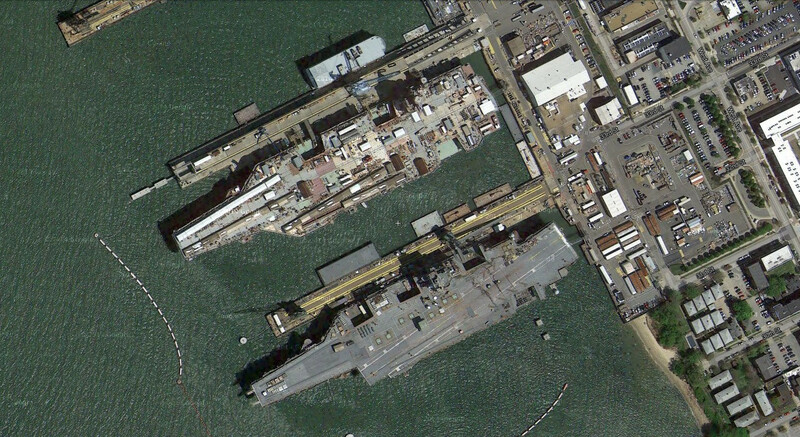 Her nuclear fuel would be removed by her builder ie Newport News before she is formally decommissioned from USN service. Ironically her anchor is now being used by USS Abraham Lincoln. A number of usable items have been removed and are now used on other carriers. The remains of the old Enterprise along with some stuff from the CVN-65 have been removed and preserved. Why was Enterprise the only ship of her class?? The Enterprise class was supposed to have 6 aircraft carriers but only 1 was completed and the rest were cancelled. The Kennedy administration cancelled the remaining 5 due to the high initial costs. 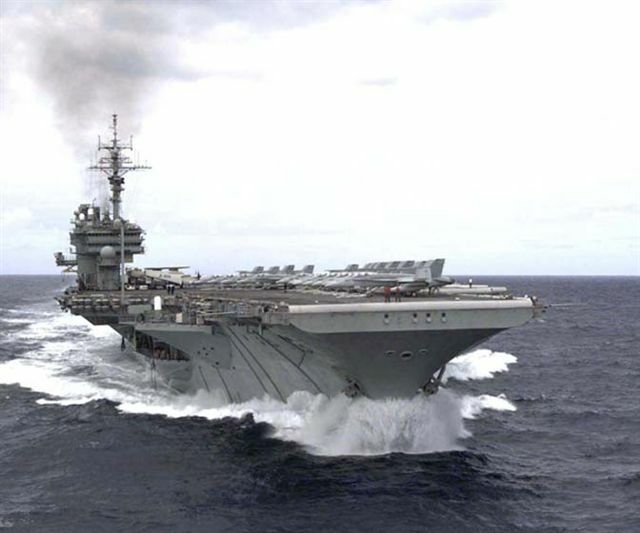 Thus the carrier bearing his name ie USS John F. Kennedy CV-67 and USS America CV-66 were built with conventional propulsion instead of nuclear propulsion. These two thus became the part of the Kitty Hawk class instead of being the part of Enterprise class. 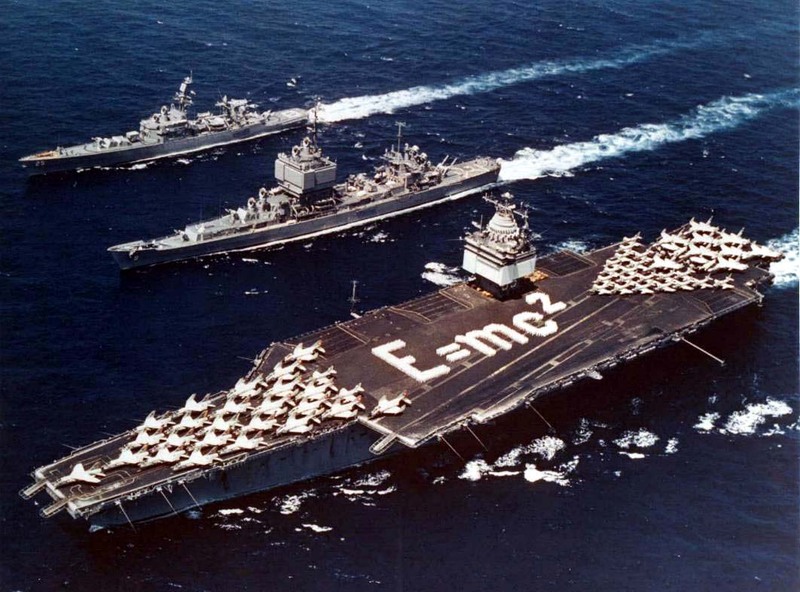 Ironically, the mistake of considering the extra initial cost over much larger savings over the service life of the carrier was realized and the USN was authorized to build the Nimitz class of nuclear powered aircraft carriers, 10 of which are in service today. The future of the name Enterprise. American junta demanded that one of the new Ford class of carriers being built be named as the Enterprise. 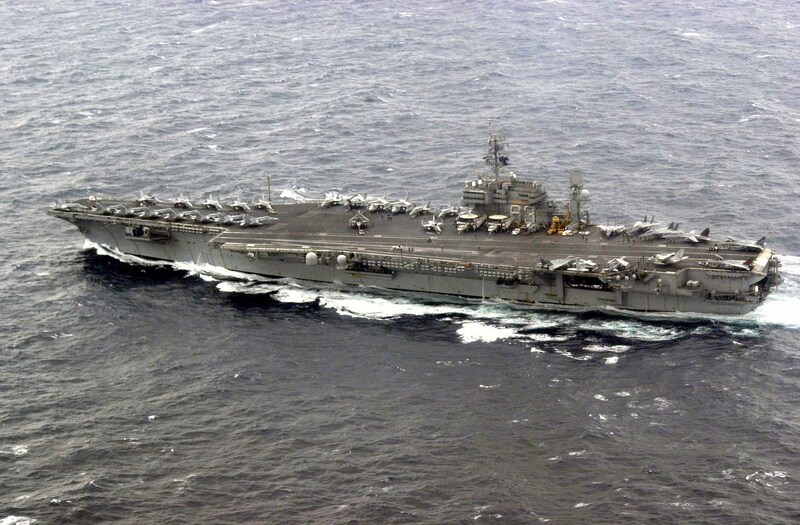 The first of the Ford class is scheduled to enter service in 2016 and will replace USS Enterprise in service. Bowing to public opinion, the Secretary of Navy Ray Mabus announced that the 3rd Ford class carrier would be commissioned as the USS Enterprise CVN-80.